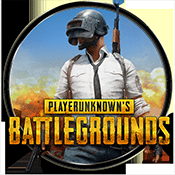 Description: PlayerUnknown's Battlegrounds (PUBG) finally takes its turn on iOS! Welcome to the most played survival game of all time. Finally on iOS. Update: PUBG is now available for download from the iOS App Store (Download link below). Step 1: Download the PUBG - PlayerUnknown's Battlegrounds IPA file onto your computer.